This was a surprise for me; Musicians strutting down South Street in bright costumes playing New Orleans beats and tunes. 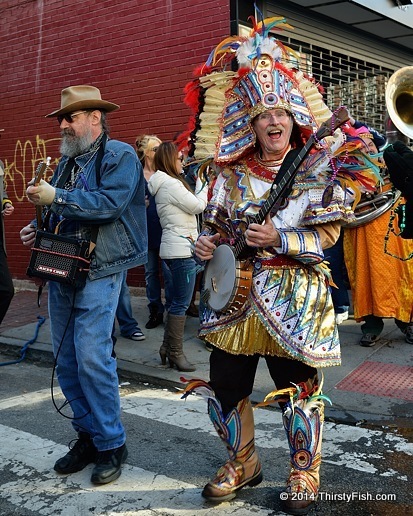 It turns out The Wild Bohemians have been holding an Annual Mardi Gras Parade in Philadelphia for 30 years. Philadelphia is truly among the most underrated cities in America. Mardi Gras is French for "Fat Tuesday". It reflects the practice of eating fatty foods before the ritual fasting of the Lent season. I'm sure you knew that.